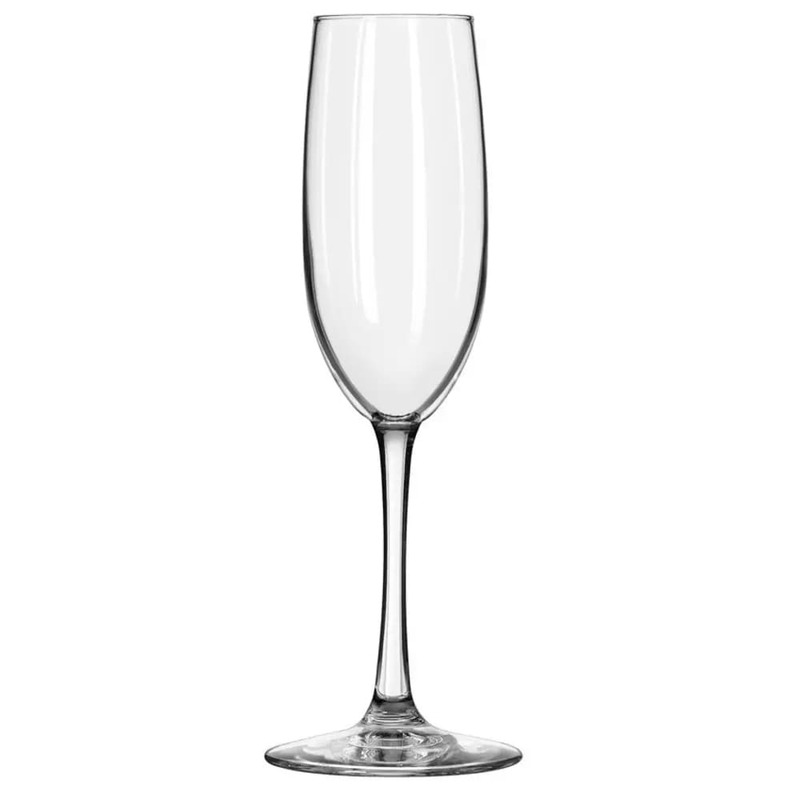 The Libbey 7500 Vina™ flute glass has an 8-ounce capacity. It has the traditional tall, narrow shape of a flute glass, which maintains drink flavor and enhances the presentation. The brilliant clarity of the glass highlights the drink and draws the eye to increase product sales. The Finedge® rim has a minimum bead, which is the rounded area around the rim of the glass, so liquid flows smoothly. 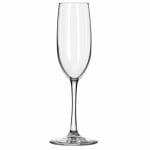 This Libbey 7500 Vina flute glass has a durable rim that is protected by the Safedge® rim guarantee.